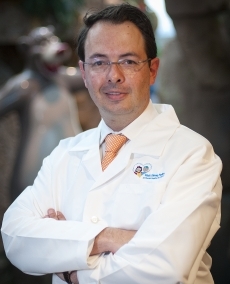 Pablo Gomez III, MD, is a board-certified pediatric urologist at AdventHealth Medical Group and the current Medical Director of AdventHealth for Children’s Pediatric Urology Robotics Program. Distinguished for his expertise in robotic-assisted urologic surgeries, he is a leading physician and noted researcher in his field. Dr. Gomez’s medical training began at the elite Universidad del Rosario School of Medicine in Colombia and continued at the University of Miami, where he became a research associate and completed his internship and residency training. He next had the honor of serving as a visiting scientist at Harvard University Medical School, where he completed a prestigious clinical fellowship in pediatric urology.